The many benefits of telemedicine far outweigh the downsides which are for the most part correctable. A new law in Connecticut, effective July 1, 2018, will allow healthcare providers to prescribe controlled substances for mental health and substance abuse treatment via telemedicine. S.B. 302 essentially reverses the state’s restrictions on the prescription of Schedule 1, 2, and 3 controlled substance via telemedicine tech, though opioids don’t seem to be included. With this new bill, Connecticut joins a select group of states looking to utilize digital health tools and technology in a more meaningful way. This represents the beginning of a rising tide, and while it’s looking good on the state level, federal law still has to catch up. At least, according to some, there’s still hope. This support for telemedicine has been growing steadily as it’s proven itself to be one of the major emerging technologies in healthcare — but before we get too far, let’s back up for a moment. What exactly is telemedicine, what other obstacles does telemedicine face, and why is it that experts are calling it “the future of healthcare”? Penn Medicine associate CIO John Donohue, writing for Healthcare IT News in 2016, asks, since telemedicine has been around now for “almost twenty years … why is it not as common as sliced bread?” The answers to that are many, but perhaps one is that the public isn’t entirely sure just what “telemedicine” is — but that’s changing quickly. USC’s Keck School of Medicine lists mobile health (or mHealth) as one of the three fastest-growing public health technologies in today’s age. “People too ill to attend a clinic, without adequate transportation, or without time to spare can turn to their mobile device and video conference with a trained health care practitioner through apps such as Doctor on Demand and NowClinic,” they write. Since then, fiction and fantasy have become fact and reality. Many modern societies now operate with bandwidth and infrastructure that support telecommunication technology on a day-to-day basis. Apps like FaceTime and Skype, in conjunction with the prevalence of the modern day phone, of course, have made remote face-to-face interactions not only possible but commonplace and expected. This has fueled the recent growth in telemedicine and mHealth. George Washington University actually predicts that the global homecare diagnostics and monitoring market will grow 8.71 percent between 2016 and 2020. This growth is not based solely on expectations and convenience — there are concrete benefits to the deployment of telemedicine. Healthcare cost savings: “Reducing or containing the cost of healthcare is one of the most important reasons for funding and adopting telehealth technologies,” writes the ATA. Telemedicine can help to save money in healthcare by increasing efficiency via reduced travel times, fewer or shorter hospital stays, and by further automating administrative roles and responsibilities, which make up 31 percent of employees in the average physician’s office. Better quality care: Telemedicine improves quality of care by making it easier to for providers to follow-up with patients, as well as to monitor patients remotely, and respond to queries when called upon. “In some specialties, particularly in mental health and ICU care, telemedicine delivers a superior product, with greater outcomes and patient satisfaction,” the ATA writes. Patient demand and satisfaction: You can’t discount patient demand, and a world without telemedicine is becoming a world of the past. “Over the past 15 years, study after study has documented patient satisfaction and support for telemedical services. Such services offer patients the access to providers that might not be available otherwise, as well as medical services without the need to travel long distances,” writes the ATA. Other benefits include the ability to employ school-based telehealth, as well as prison-based telehealth, creating a safer environment for students, prisoners, and healthcare professionals alike. Telemedicine is even changing up pet healthcare. Unfortunately, for all the benefits and applications of telemedicine, the technology isn’t perfect yet. While the cost may be a huge issue, it’s one that even Donahue admits is improving. His analysis that legal concerns are issues is one that’s shared by the experts at Vsee. Still, even larger than any other concern has to be cybersecurity and, in effect, HIPAA compliance. This doesn’t refer to just the legislation surrounding HIPAA compliance but the actual problem of poor cybersecurity and data breaches. The more connections that pop up, tying the internet of things (IoT) to the field of healthcare, the more opportunities cybercriminals will have to steal personal and private information. In turn, this means the potential for massively debilitating HIPAA violations that, at this point, there currently are no existing solutions to. While HIPAA measures include protections, procedures, and processes that protect against data breaches, a globe that is more attuned to the issues represented by cybercrime will be better able to protect itself from them. As time goes on, cybersecurity, policy, reimbursement, and HIPAA concerns will all be sorted out. Telemedicine isn’t ushering in these problems — they’re running rampant in our system already. It would take an astounding lack of care to create a telemedicine system that would actually exacerbate the problem to a large degree. 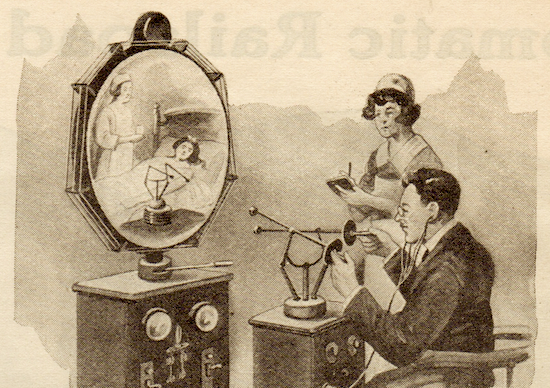 As such, the future of healthcare is telemedicine. The obstacles are large, but we’ll soon be over them. The benefits are too great, and the public expects it. As with every other field on the planet, technological disruption will leave its mark and rule the day. Andy is health, tech, and futurism enthusiast from the Pacific Northwest. When he's not writing, you can find him on a run, drinking craft beer, or reading Kurt Vonnegut. Follow him on Twitter @AndyO_TheHammer. I really appreciate the outline that Andy Heikkila has provided on what telemedicine is and why it is so important to the future of healthcare. There are many benefits waiting to be reaped thanks to the fact that technology is expanding and allowing for new innovative techniques to be explored with regards to healthcare. I do agree that telemedicine has the potential for helping fill the gaps where current medicine doesn’t quite cover. These things include follow ups, prescription refills, and personal patient-physician monitoring. One of the benefits I hadn’t considered was the idea that a patient with a rare cancer could be referred to a specialist across the country and have a consult without needing to spend the effort to visit the specialist in person. Despite all these benefits I must admit that I still remain skeptical of telemedicine and its impact on medicine in the future. One of the great things about being a physician is the ability to create lasting relationships with your patients, and with telemedicine the chance to strengthen those relationships increases. However, a patient having the ability to call up any physician and be diagnosed with a disease without the physician even touching the patient just seems like we’re asking for problems. As a student in an Osteopathic medical school, we’ve been taught that touch can be one of the greatest tools for helping the physician diagnose and heal a patient. How many things will be missed because the patient is not available for a routine physical exam because the internet separates them with their physician. The potential for malpractice seems to go way up when I consider this. And, as physicians, aren’t we worried about nonmaleficence, the do no harm part of medicine? I believe that there is much good that can come from telemedicine, but we need to be very aware of the limitations of this type of medical practice. We need to establish clear guidelines as to what is considered “good medical practice” when deciding between a telemedicine visit, or a real in-person visit with a physician. What may be convenient for the patient or the physician may not be what is best. I hope we keep this in mind as we move forward. I really appreciate the outline that Andy Heikkila has provided on what telemedicine is and why it is so important to the future of healthcare. There are many benefits waiting to be reaped thanks to the fact that technology is expanding and allowing for new innovative techniques to be explored with regards to healthcare. I do agree that telemedicine has the potential for helping fill the gaps where current medicine doesn’t quite cover. These things include follow ups, prescription refills, and personal patient-physician monitoring. One of the benefits I hadn’t considered was the idea that a patient with a rare cancer could be referred to a specialist across the country and have a consult without needing to spend the effort to visit the specialist in person. Despite all these benefits I must admit that I still remain skeptical of telemedicine and its impact on medicine in the future. One of the great things about being a physician is the ability to create lasting relationships with your patients, and with telemedicine the chance to strengthen those relationships increases. However, a patient having the ability to call up any physician and be diagnosed with a disease without the physician even touching the patient just seems like we’re asking for problems. As a student in an Osteopathic medical school, we’ve been taught that touch can be one of the greatest tools for helping the physician diagnose and heal a patient. How many things will be missed because the patient is not available for a routine physical exam because the internet separates them with their physician. The potential for malpractice seems to go way up when I consider this. I believe that there is much good that can come from telemedicine, but we need to be very aware of the limitations of this type of medical practice. We need to establish clear guidelines as to what is considered “good medical practice” when deciding between a telemedicine visit, or a real in-person visit with a physician. What may be convenient for the patient or the physician may not be what is best. I hope we keep this in mind as we move forward.